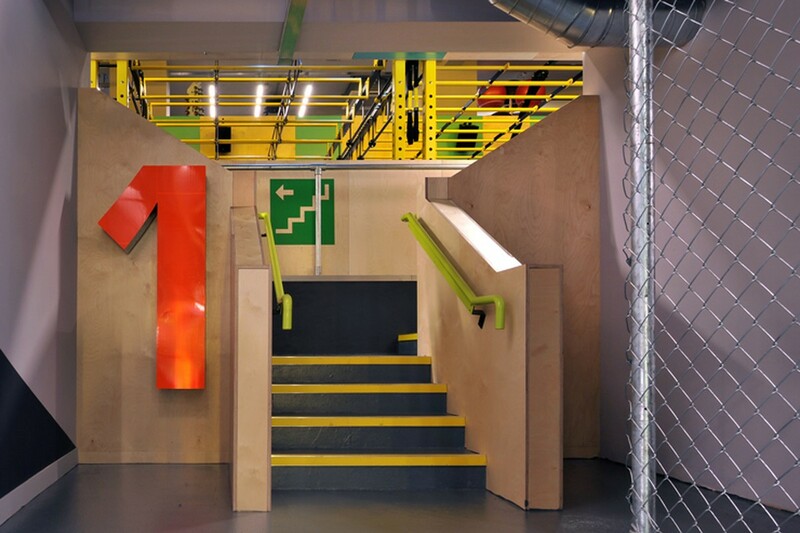 Opening to the public in November 2014, Gymbox Old Street occupies a 12,000ft2 basement in The Bower, a new development of office, restaurant and retail space. 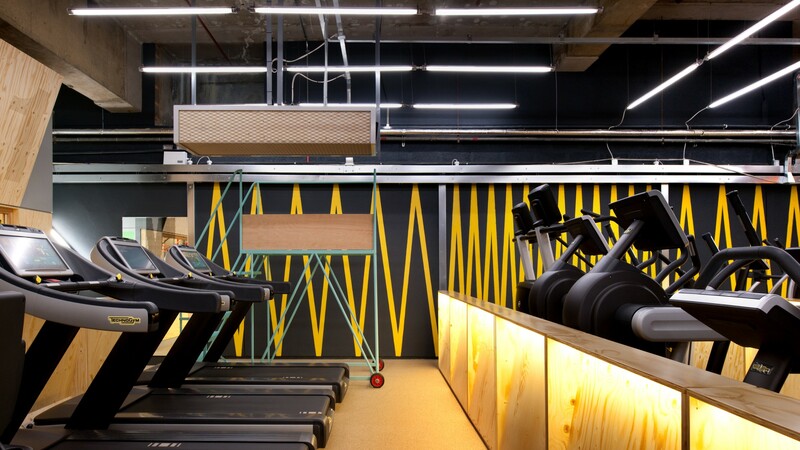 Transformed from a space previously used by the Post Office, Gymbox Old Street contributes to the dynamic and vibrant atmosphere of this lively area of London. 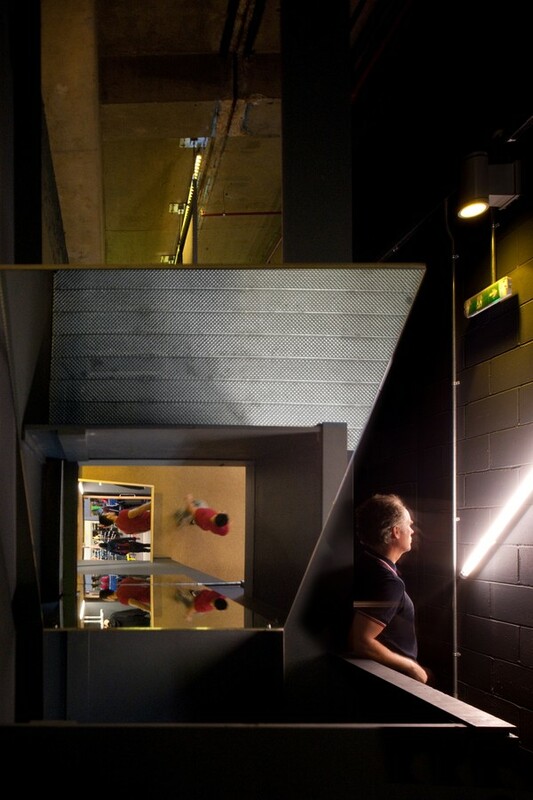 Visitors enter through a yellow glass screen before travelling down a staircase set within a dramatic triple height slot. 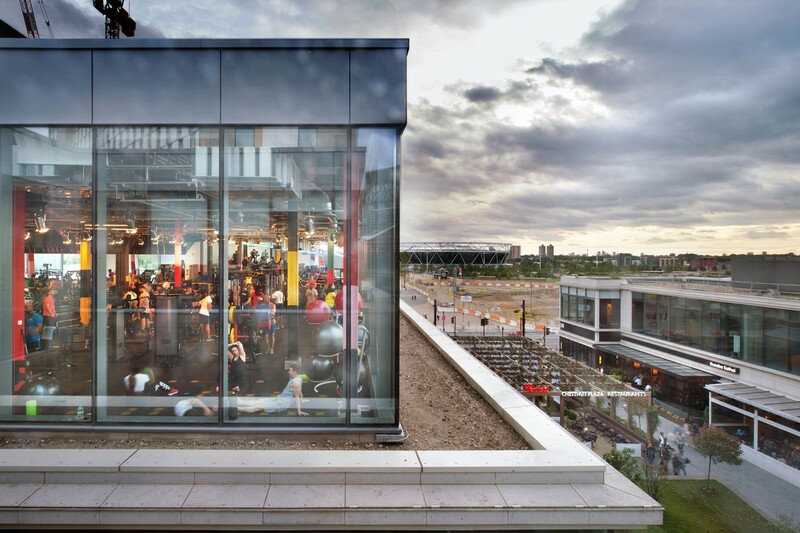 An angled mirror ‘periscope’ offers views into the club. 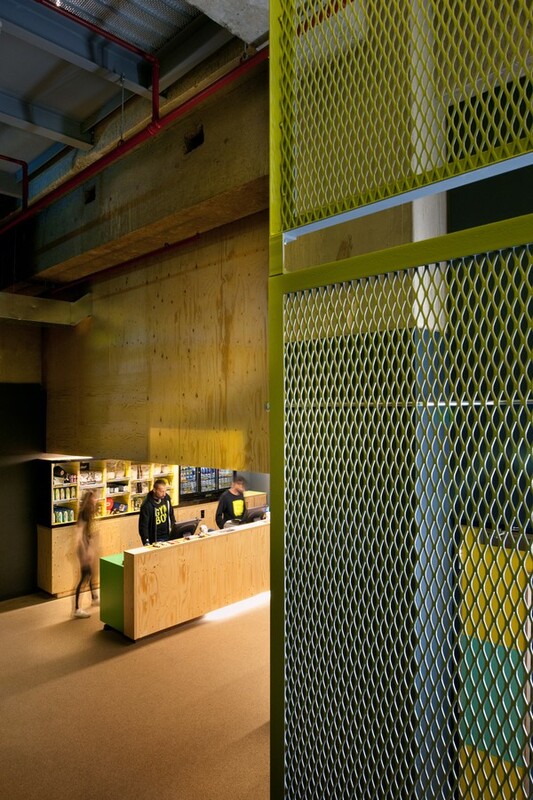 Two timber-clad studios are hung from the ceiling under which visitors pass into the main volume of the gym. The heroic nature of the double height space and the qualities of the existing building fabric are retained forming a backdrop for the new landscape. 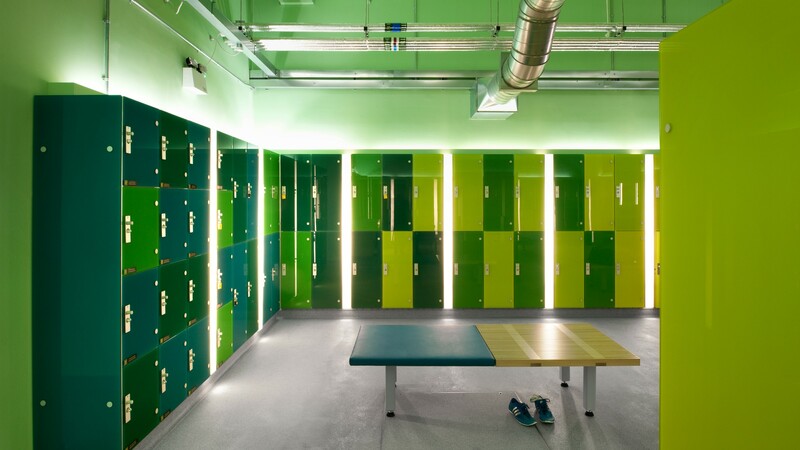 The focal point of the gym floor is a functional training studio separated from the main space by an industrial scale acoustic shutter.